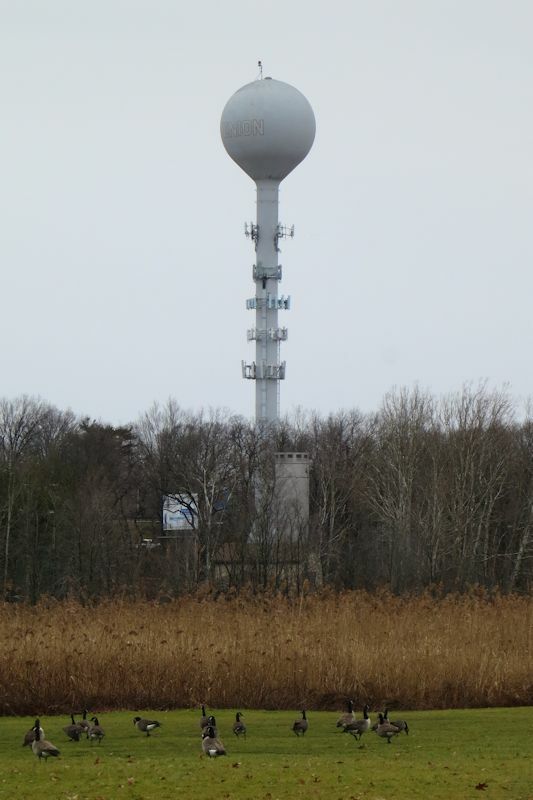 This is a view of the World’s Tallest Water Sphere with some geese on 2012/12/17. The geese love the warm and wet field and seem to feed on anything that happens to be hopping in the grass. Notice some nice color bands on the bottom half of the photo. Brown, beige, and green. Notice gray sky and gray tower on the top half. This entry was posted on Monday, February 18th, 2013 at 6:08 pm	and is filed under Photos. You can follow any responses to this entry through the RSS 2.0 feed. Both comments and pings are currently closed.